Five x 2 litre foam fire extinguishers. Suitable for use in caravans, vehicles, offices, small workshops etc. These extinguishers are an excellent choice for class A&B fires, and quite often more effective than dry powder extinguishers. The 2 litre model includes a transport bracket making it ideal for vehicle applications, as well as for use within the workshops and small industrial units. 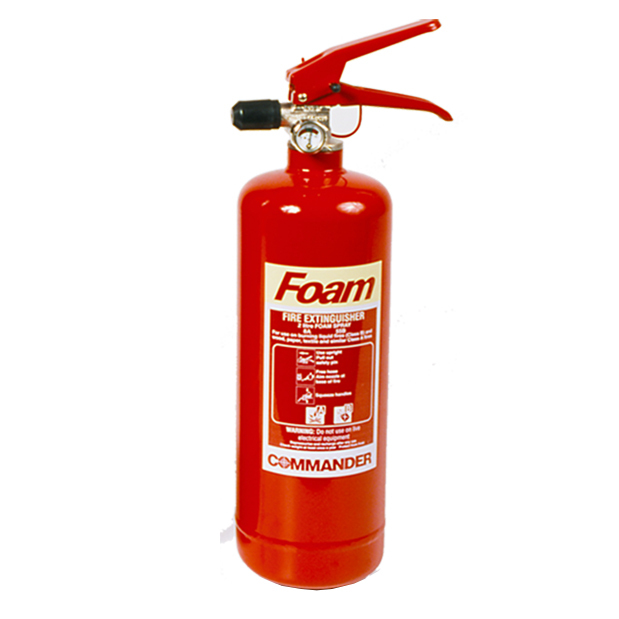 For larger industrial units, we recommend using the 6 litre foam extinguisher. All the fire extinguishers we distribute are the 'commander' brand and are fully CE marked, manufactured to BS EN3 standards & have been fire tested by Lloyds Register.